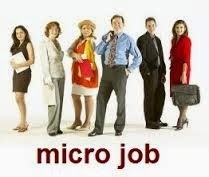 Micro jobs provide opportunities for people to make extra money doing some quick online jobs on a free time. You make money performing some simple task online and get paid for the work done at spare time. As you read on with the post. we will be listing the top rated and best 3 micro jobs sites online where you get paid when people order for your services for cash. This is the most reliable online jobs that pay you to do work for a client and get it delivered in short time. We've written good information about these sites and how to make money with them, just type how to make money on any of these site above using the search box above and you get full information on how to start and get paid with these online jobs sites. The three site listed above are the best and top rated micro jobs site to start working and making money online which are very reliable. 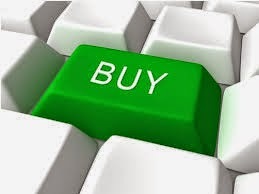 You can also buy or sell a service in form of gigs and get paid directly into your account. We work online with these site and get paid without delay. You also can earn money online using this micro job site which still remains the best. Thanks for reading. Micro Job sites indeed help people to make extra money online. Fiverr,Seoclerks,and Gigbucks are pretty good examples. However, this post only listed them for recommendations. I bet a lot of readers should have expected more explanations from you. This comment was also left in kingged.com - the content syndication, social bookmarking and social aggregation website for Internet marketers - where this post was shared. 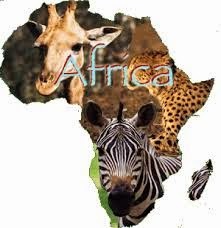 Dayo, thanks for sharing these sites with us. Micro job sites are actually good for everyone who wishes to work from home. You can make money from there so long as you have something to offer. Well, besides Fiverr, Seoclerks and Gigbucks, you can make money from other sites like Mycheapjobs.com, Tenbux.com, Gigsbull.com, Donanza.com and of course my new site mygigerr.com. There are actually several of them scattered on the net. While some are already established, some others are just coming up but waxing strong. Making money on these sites all depends on your skill and things that are in hot demand. Besides, your ability to market yourself well by crafting a nice profile and good titles for your gigs are equally important in order to quickly attract customers. Finally, retaining customers and getting new ones depends on how honest you are especially in delivering your jobs and how fast you are able to meet up delivering those tasks.